Time to bring you guys another award-winning* drink recipe! This time round it is kindly supported by Tefal, in conjunction with OMY.SG. This was made possible because 6 of us bloggers are each given a Tefal blender to use and come up with 2 recipes - one for drink and one for food. 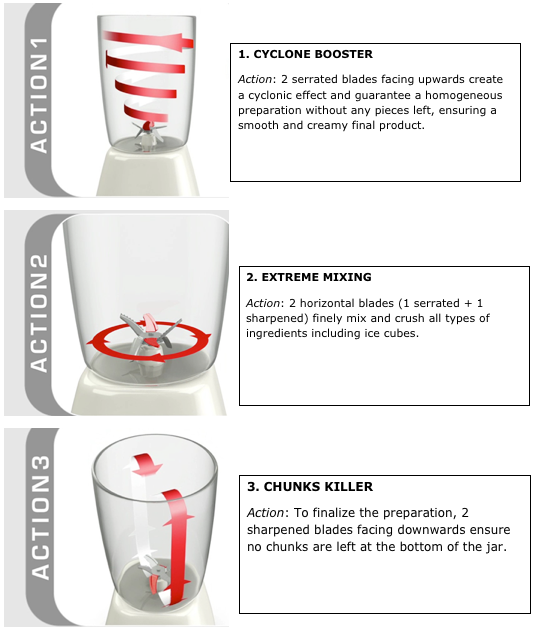 I've already tried 3 drink recipes with the Tefal Blendforce Glass, and determined the best recipe to share with you guys. Being the kitchen noob, I am always grateful for inventions that makes food preparation easy. For example, the microwave or Happycall pan. And the blender is one of them too! Just dump everything in and blend it up! 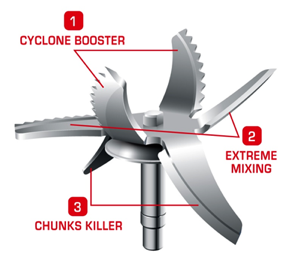 You can read about how the blades work here. Very interesting actually - I never thought about how they have different functions. Well, let's put these blades to the test shall we? With that, here is the award-winning* smoothie recipe for you to try! The name of the drink is called Good Morning Sunshine smoothie. Here are the ingredients you will need to make a tall glass of smoothie. Put everything into the blender, together with the handful of ice if you like them extra cold (don't have to if your ingredients are all chilled and your banana is frozen. And then BLEND! You can also blend lightly if you wish to have more crunchy walnut bits in your drink. It is completely customizable. An important tip in blending is to make sure you use the ‘Pulse’ mode for at least 3 times before starting to blend for not more than 3 minutes continuously. This will ensure the ingredients are well spread out and even! And there you have it! A big cup of healthy goodness called Good Morning Sunshine. It is a great source of riboflavin, folate, vitamin b12, magnesium, potassium, zinc and selenium. Do remember to try and let me know if you like the taste! Will someone help me to find more details about how to find a way to having an outstanding nutrition dishes that it include a fruit like banana ? that will be not much like tasteless foods to "say the least" , so please i want your support to make the diner .